For its 8th year, Blogapalooza has yet again successfully staged a fun and excitement filled blogger-to-business event. And this year for me, is one of the best and most memorable to date, for some reasons. 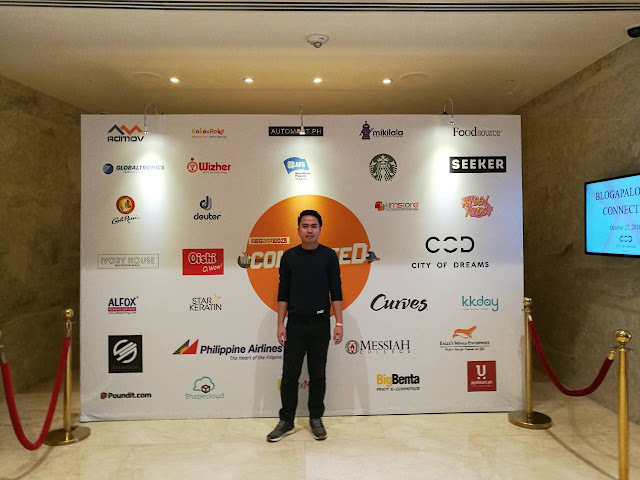 This is actually my 5th Blogapalooza and every year, I have the opportunity to meet and connect to other bloggers and content creators in the country. 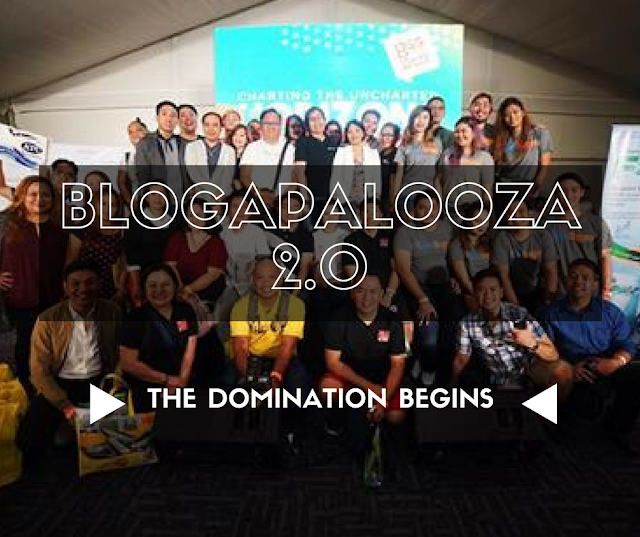 In my 5 years of attending the annual event, I found new friendships and every year, Blogapalooza became our way to reunite and bond. I remember the night after the event, we were a group of 20 bloggers from different blogging groups in the country in one hotel room talking, laughing, and asking random questions. It was a simple yet memorable night. Thanks to Blogapalooza for making it happen. Yes, Blogapalooza doesn’t only connect bloggers to businesses but bloggers to fellow bloggers as well. Each year, I meet new people and hear new stories that motivate me to strive further and be better in this industry. 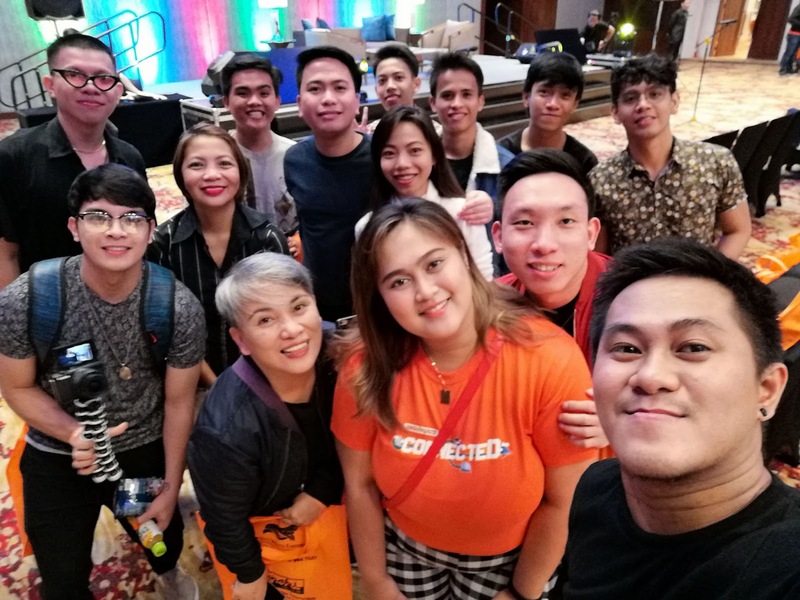 But this year is another story because I had a chance to meet more bloggers all over the country. To be honest, I don’t stay much on the discussions during Blogapalooza event and rather choose to stroll along the booths for networking or talk with fellow bloggers. But this year, I stayed majority of the day listening to the resource speakers and panel discussions. I believe I only missed one panel discussion because I am starving and needed to eat for lunch. 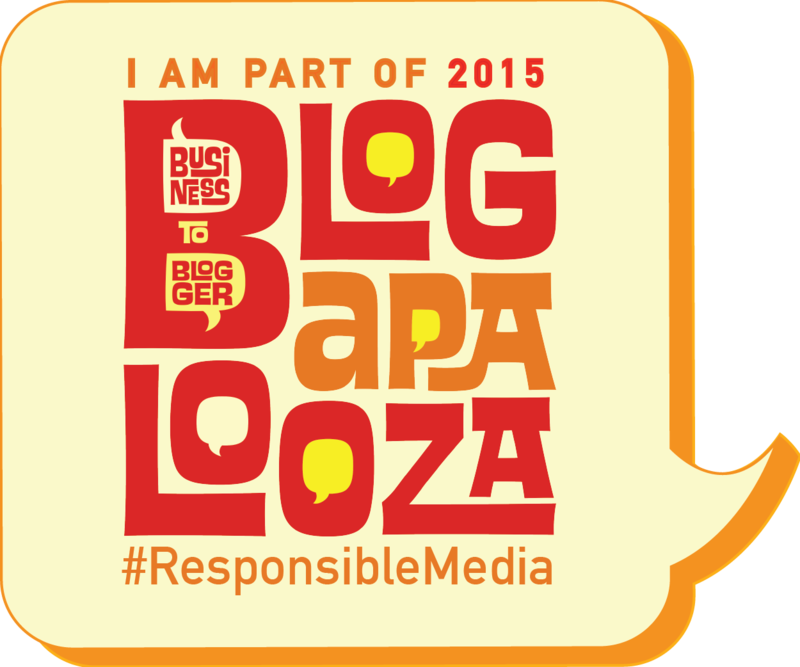 I have three favorite topics on the Blogapalooza event this year. 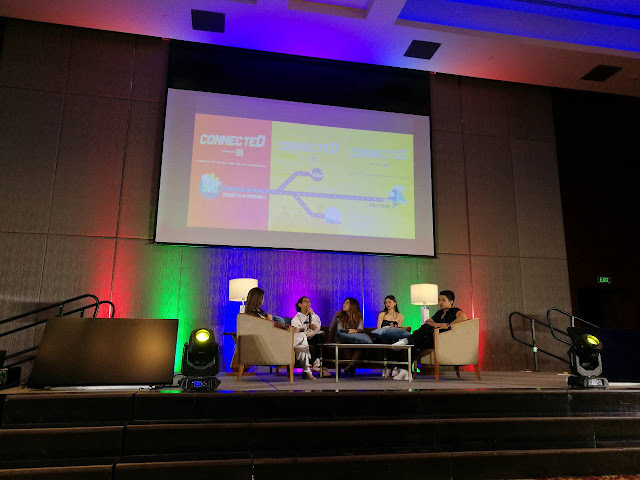 First is the panel discussion with the vloggers Jamill, Emman Nimedez, and Viy Cortez. Their panel discussion was very natural. They talked about how to grow your Youtube following, what content to be posted, and the struggles in creating content that viewers can appreciate. I also enjoyed the talk of Nix Eniego of Social Media Academy. He is very kind to spill some tricks in growing our Instagram following. 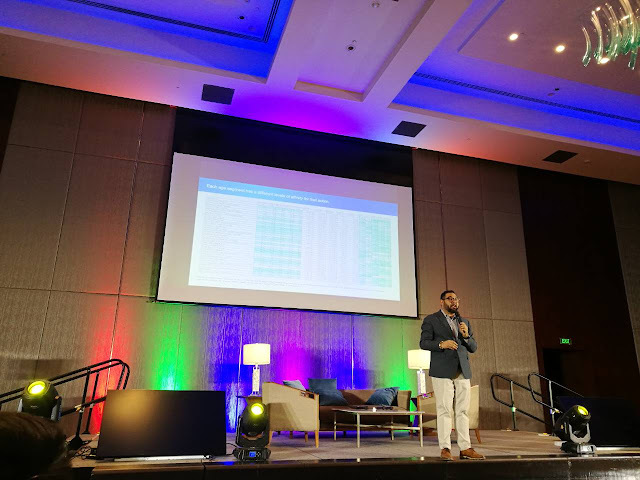 But my favorite is the talk of Miko David of David & Golyat as he taught us the use and importance of the metrics in listening to the market, machine learning, and content planning to have successful digital campaigns. Blogapalooza today has evolved from a blogger-to-business event to a get together of the Philippine blogging community. 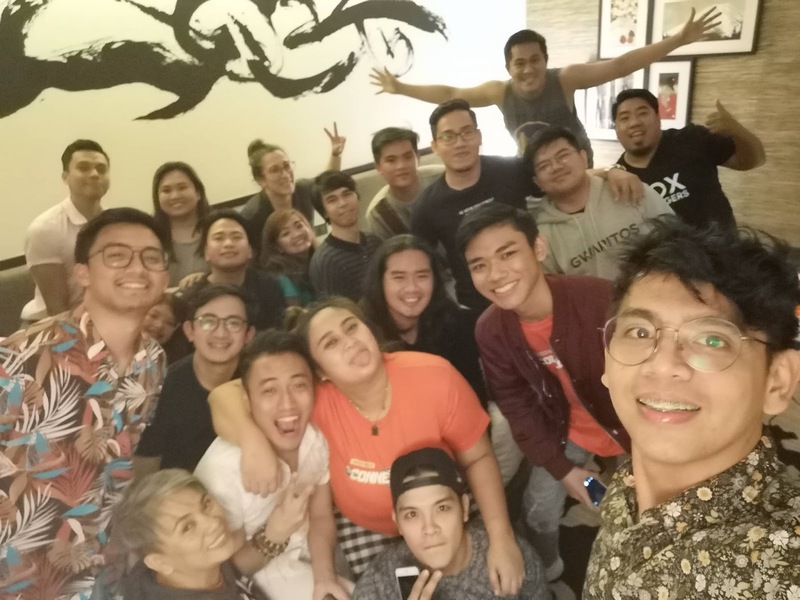 It is just not a blogging event but a family that is growing and going stronger year by year. 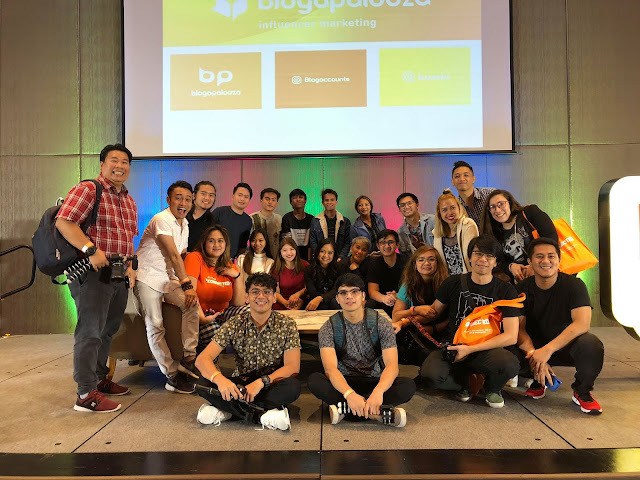 Congratulations to the Blogafam headed by our Blogamomma Ace Gapuz, for another successful Blogapalooza and thank you for doing all of this for the Philippine blogging community. 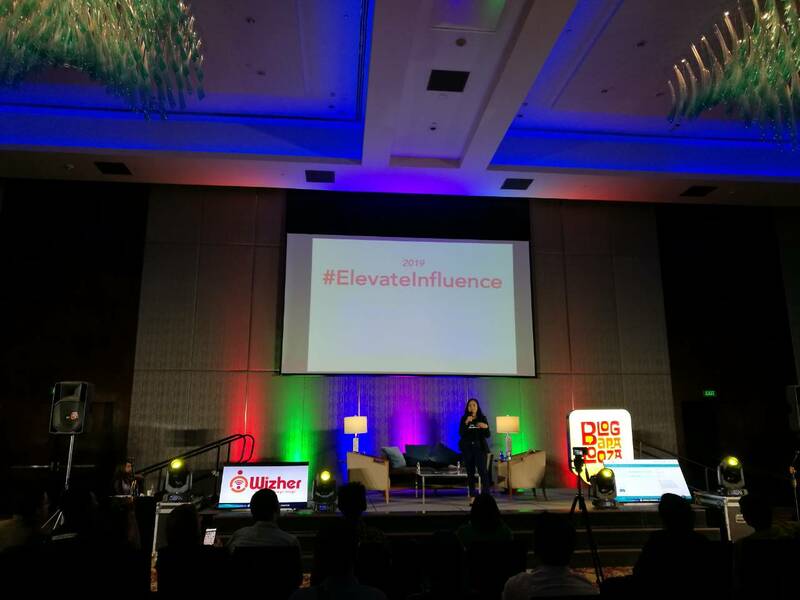 More power to Blogapalooza and let us start to #ELEVATEINFLUENCE! 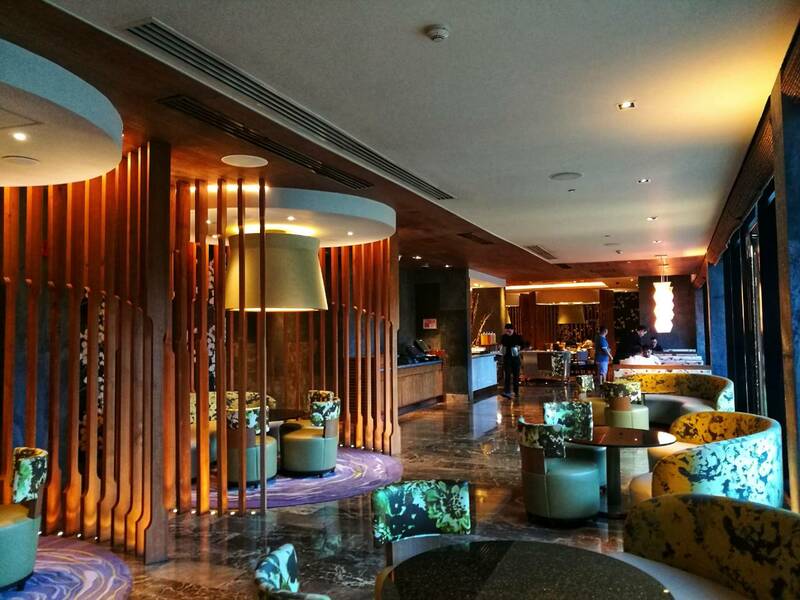 A stay at Nobu Hotel - City of Dreams is surely one of a kind experience. This isn’t my first time to stay at the hotel and as always, it never disappoints. The hotel staff is always accommodating and courteous to guests. They greet you with smiles and will even treat you like royalty. 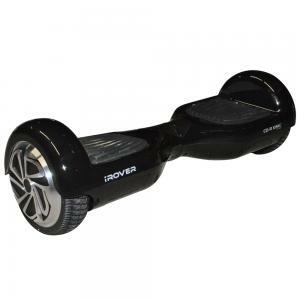 They are attentive to requests and they also deliver fast. Nobu Hotel is very different with other hotels in the metro. Its zen-like atmosphere makes it stand out. The ambiance is so relaxing which other hotels may lack in providing a welcoming place to stay. 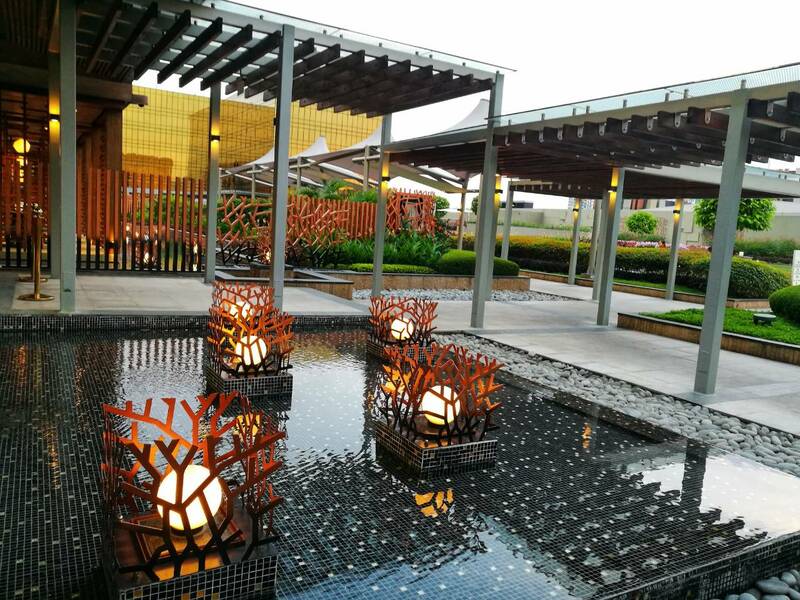 The calm vibe of the hotel makes you forget that you are in the city. It’s actually escaping the city without leaving it. The rooms are elegant with their minimalist and modern interiors. Of course, how will I forget the very comfy bed? 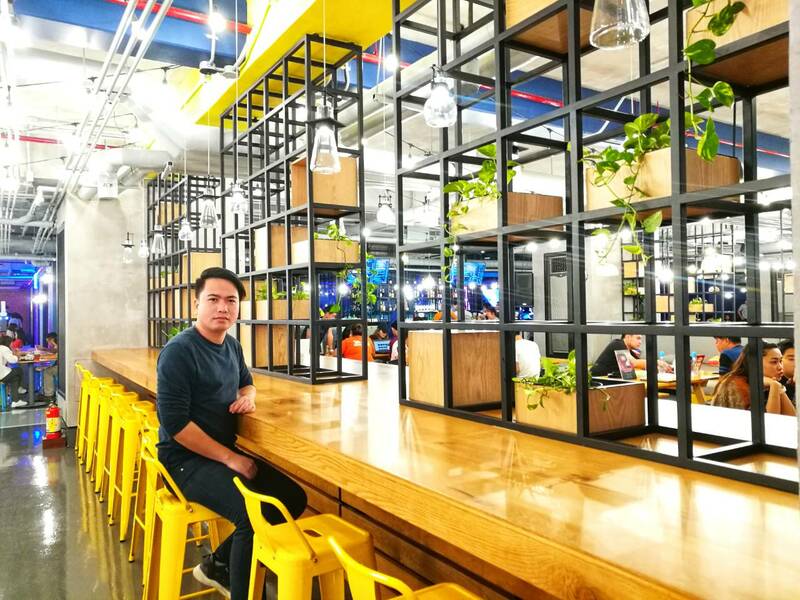 It’ll make you stay longer and spend the rest of the day just lying around while watching Netflix or stream online using the hotel’s fast Internet connection. Nobu hotel has 4 types of rooms - Nobu Deluxe, Nobu Premier, Nobu Executive, and the Nobu Suite. We had the Nobu deluxe room with two queen-sized beds. Unfortunately we stayed on the other side of the hotel with the airport view. 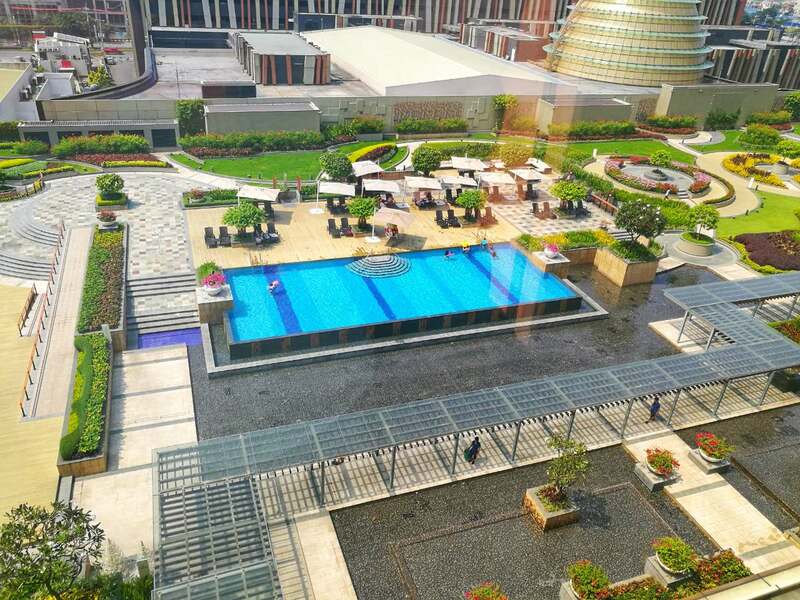 Friendly suggestion though, by all means, book a room facing the pool and the garden on the highest floor possible. The uplifting view is picturesque and will literally leave you feeling high for days. You will definitely have an additional Instagram worthy queue. 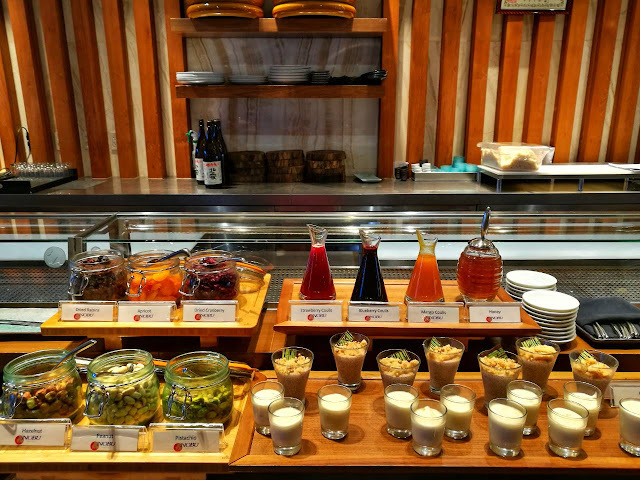 Food is one of the things to consider in choosing a place to stay and Nobu Hotel’s restaurant will not disappoint you. It impresses with their uniquely different yet incredibly delicious offerings. 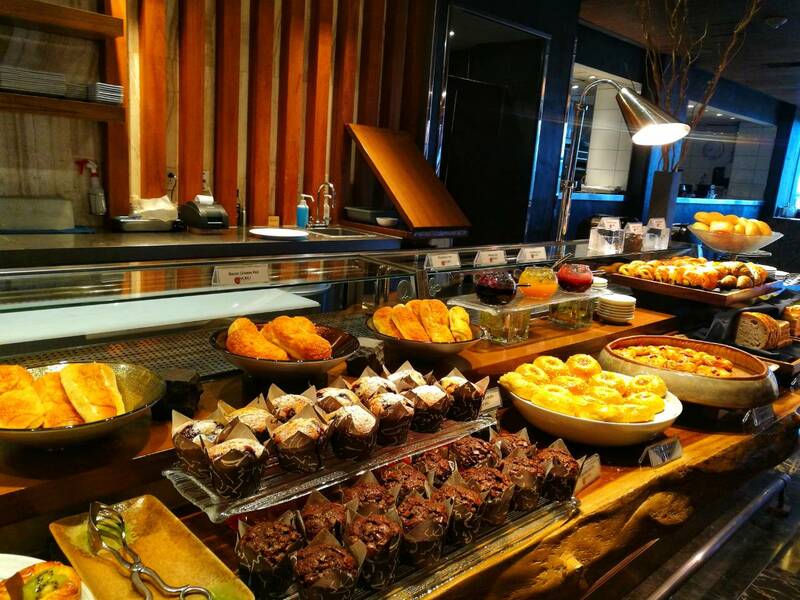 The breakfast buffet is indeed salivating. For sure, it will be a cheat day every day during your stay at the hotel. 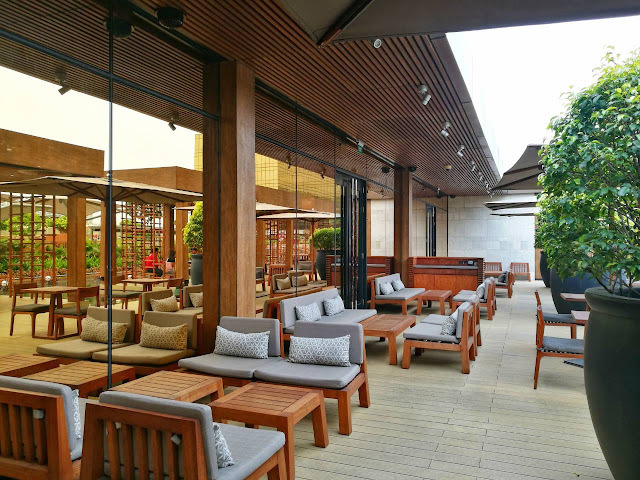 And just like the entire hotel, Nobu Restaurant also brings an air of comfort and relaxation that guests truly appreciate. 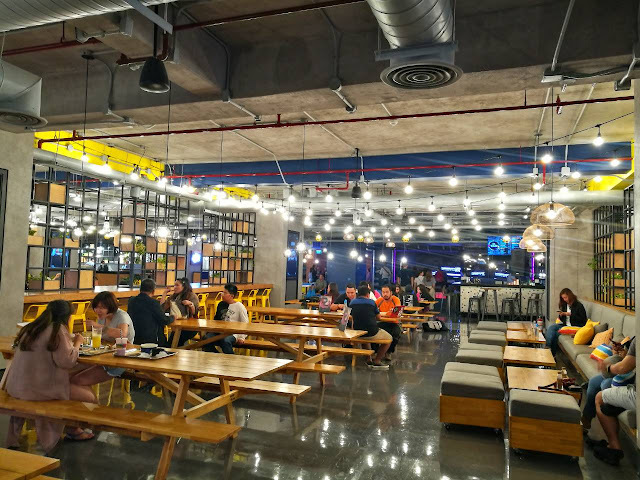 The entire dining area is pleasantly spacious and boasts of beautiful floral print seats, wooden accents, floor-to-ceiling windows, and ample natural lighting. Nobu Restaurant is actually one of the world’s most recognized Japanese restaurant, known for its innovative new-style cuisine and unique modern Japanese dishes fused with Peruvian influences. Of course, there are other things to rave about. They have fully equipped fitness center, spa, pool, shopping center, and of course, the casino. 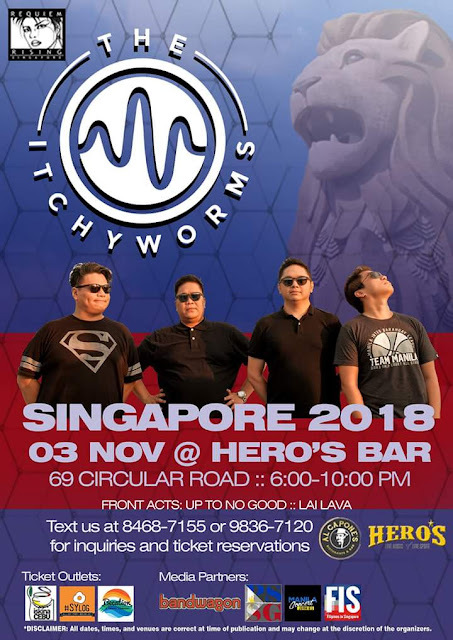 Last October 14, City of Dreams opened its new attraction. The Garage VR and Food Park. 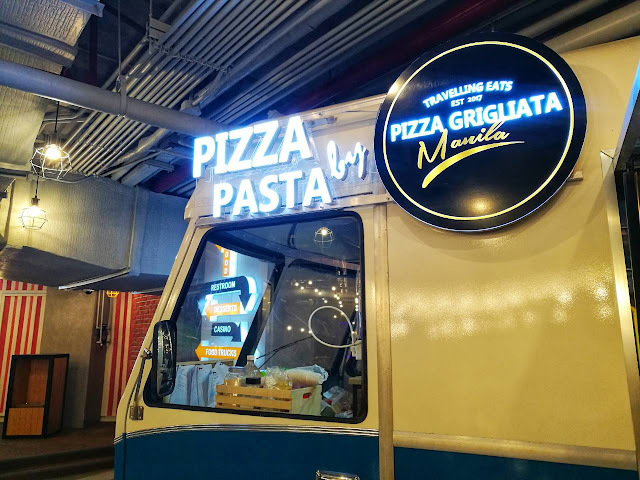 The Garage is a VR Zone and food park that enables guests to delve into the immersive experience of virtual reality entertainment and delight in a wide range of casual dining choices from the carefully curated selection of food and beverage trucks and trailers set in a comfortable, air-conditioned space. Located in a 6.2-hectare site along Aseana Avenue, corner Roxas Boulevard, Entertainment City, Paranaque, COD brings together a diverse collection of contemporary lifestyle and leisure brands including Crown, Nobu, Hyatt, Dreamworks and the Pangaea Group. It combines world-class entertainment, an array of accommodation, and regional and international culinary offerings, together with a spacious and contemporary casino. It has 289 gaming tables, 1,620 slot machines and 176 electronic table games. A feature of the casino resort is the dome-like structure called Fortune Egg which houses Pangaea. City of Dreams also contains shopping center called The Shops at The Boulevard. A theme park is also located within the property called DreamPlay built in collaboration with DreamWorks Animation. As the author of the "A Celestial Enigma" finished crafting his first-ever poetry book about how love was so complicated, he wants you to be one with the universal struggle of lovers when it comes to the most mysterious feeling of life-- LOVE. 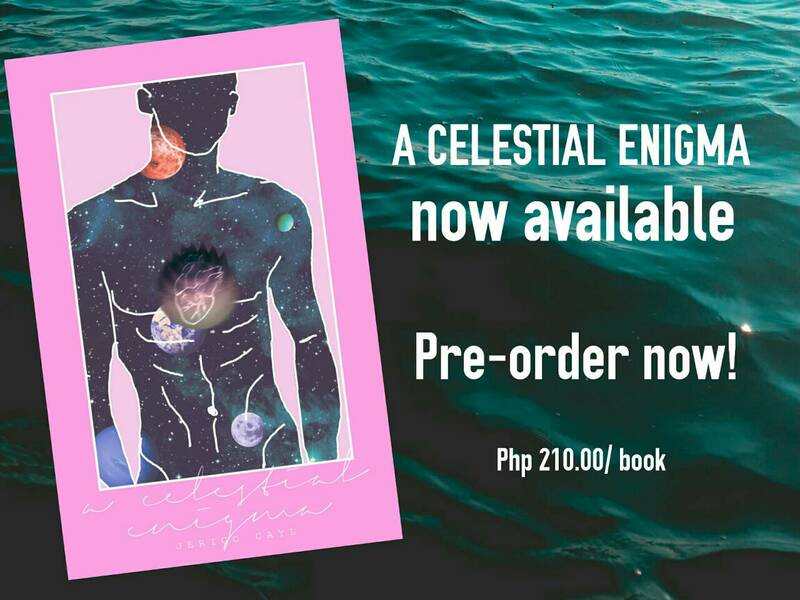 Jerico Cayl, the author, created this book for people who feels that love is deceiving yet the most beautiful nightmare one could have. 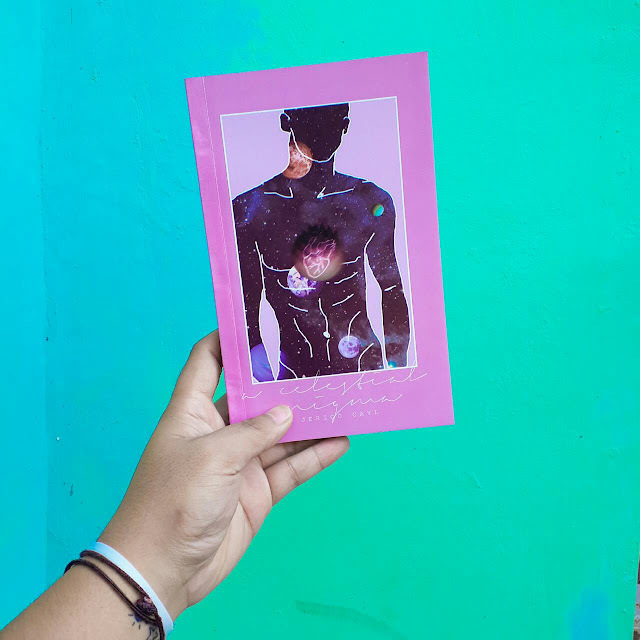 Also, he hopes that this book could inspire everyone, even though the book mostly talks about the pain and the depressive side of love and of our existence; but after all, he wishes that this book can make you feel that we never stopped loving and we should never stop loving even though we now became strangers in our own favorite spaces. "Love will always become A CELESTIAL ENIGMA. We are all unfixable, but we are golden," said the author. We often think that eating healthy food is enough—therefore we expect a tremendous result for our weight loss. 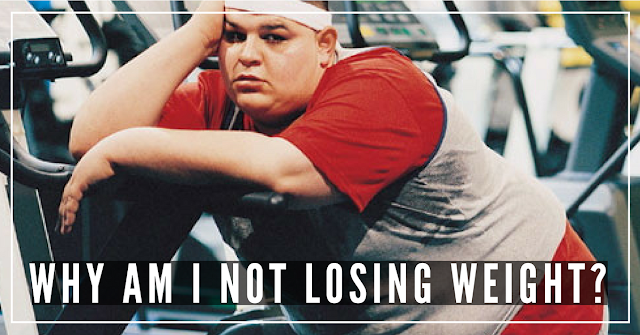 However, there are healthy foods that when eaten in huge amounts will only cause weight gain. Here’s the top 3 list of foods to eat in moderation when you are on a weight loss program. 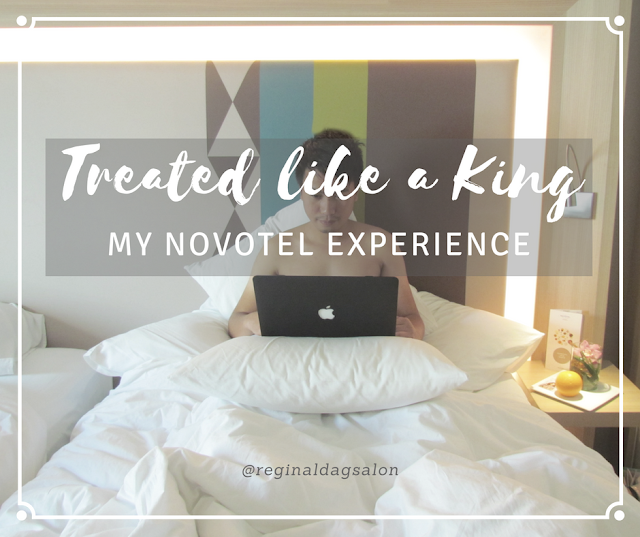 There are four things I love about Novotel Manila Araneta Center: The accommodating and friendly staff, the posh interior, the very comfy room, and the sumptuous breakfast buffet. Upon entering the hotel, I was welcomed by the hotel staff bearing the sweetest smile. It was like the typical way Filipinos welcome their guests. The personnel were accommodating. I had to reach out to them several times for some concerns and they gladly assisted me without hesitation. They gave me immediate attention and acted on my requests without me having to say it a second time. Whenever they felt that I needed something, they would gladly approach me and ask me if I needed anything. Their customers indeed are treated like a royalties—well served and pampered. Who wouldn’t love to be treated like a king? 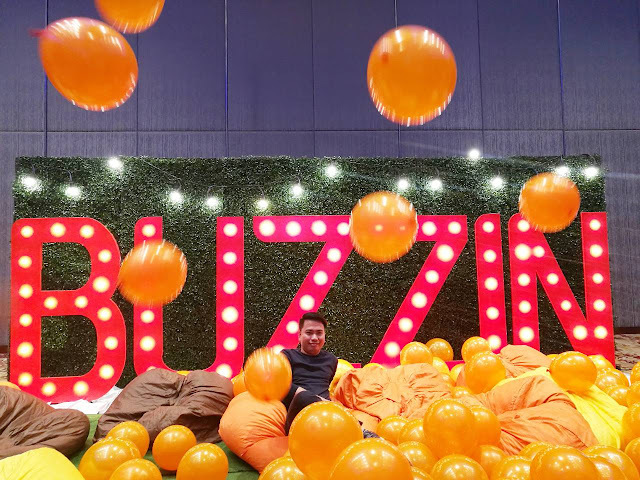 It was a fun- and excitement-filled Blogapalooza, as famous brands were present to connect with bloggers—the primary goal of the yearly event. 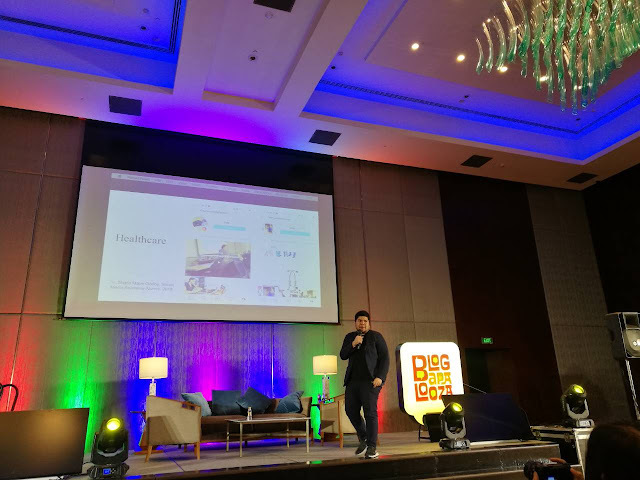 This year’s Blogapalooza, though, is different from the previous ones, as it made history in the Philippine blogosphere. Hundred Islands will always be one of my favorite destinations in Pangasinan. And I believe a lot of us have this same sentiment. Who won’t fall in love with this majestic gift of nature? With more than a hundred of islands with various shapes and sizes that offer different natural beauty, you'll definitely come back for sure. It’s been a couple of years since I last visited Hundred Islands, and I was surprised with the improvement that was made. Lots of new activities and attractions were added to immerse the tourists to fun and thrilling adventures. Before, you can only go swimming and island hopping, but gone are those times. 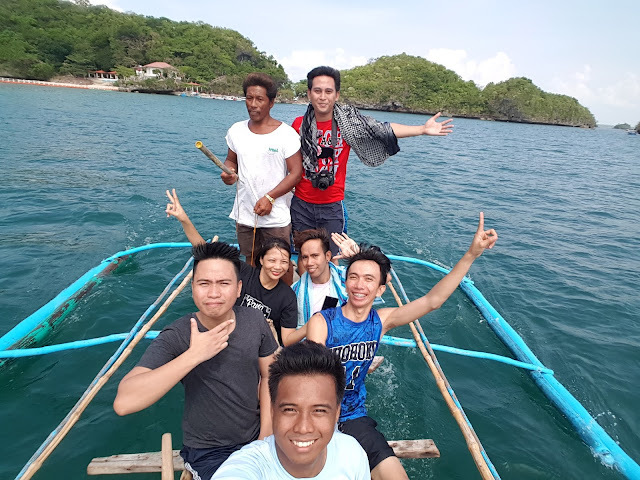 Hundred Islands is one place to come back to not only for relaxation but for recreational activities as well.